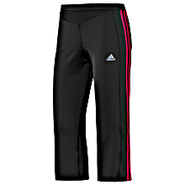 Adidas - These adidas Rebound Capris offer a customized fit with adjustable hems and an elastic waist with drawcord. 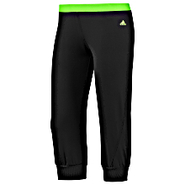 To help you stay dry they feature CLIMALITE(r) sweat protection and a mesh insert on the back. 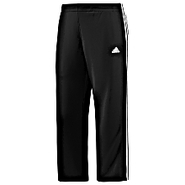 Adidas - Fitted for adjustable comfort the adidas 3-Stripes Wind Capri Pants have a relaxed fit at the hip wide legs and drawcords at the waist and cuffs. Signed off with the 3-Stripes racing down the legs. 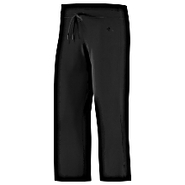 Puma - Womens PUMA Sweat Capri 2 - Black The PUMA Sweat Capri 2 add style to your typical sweatpants routine. Elastic waistband with drawcord supply a custom fit. 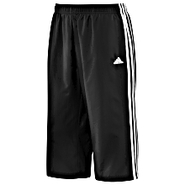 Welt pockets provide storage. 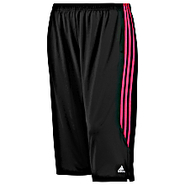 69% cotton/25% polyester/6% spandex. Imported. Adidas - Terry Capris These adidas Terry Capri pants are cute comfortable and effortlessly stylish. 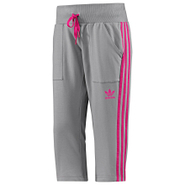 Constructed in soft French terry with a printed Trefoil and the 3-Stripes down the sides for a touch of sporty adidas heritage. J Brand - SALE-J Brand 835 Mid-Rise Capri in Sugar Cane - Su Refresh your spring wardrobe with the J Brand 835 Mid-Rise Capri. This mini floral print takes on new life in a luxe twill with overdyed colors and easy fitting mid-rise styling. Pair this capri with your favorite flats or heels. J Brand - Low Rise Capri Jean in Eclipse 94% Cotton 5% Polyester 1% Spandex. J Brand - J Brand 835 Mid-Rise Capri in Lilac - Lilac - 29 Refresh your spring wardrobe with the J Brand 835 Mid-Rise Capri. This pant takes on new life in a luxe twill and easy fitting mid-rise styling. Pair this capri with your favorite flats or heels.